Whenever an important new technology comes on the scene, there’s a public debate on the worst possible things people can do with it. Such is the case with artificial intelligence today. Lots of things are possible, of course. Fewer of them are probable. Instead of doing more fearmongering around AI, let’s look at what AI solutions can do to improve business and life. The answer is lots of things. And those things often entail wading through the vast amount of data and data stores to make sense of things. For example, new AIOps tools enable IT operations teams to troubleshoot business application and network issues, or potential problems. They do that by aggregating data about applications and various network layers. They then analyze that data. And some even visualize it so IT team members can more easily see what’s happening. 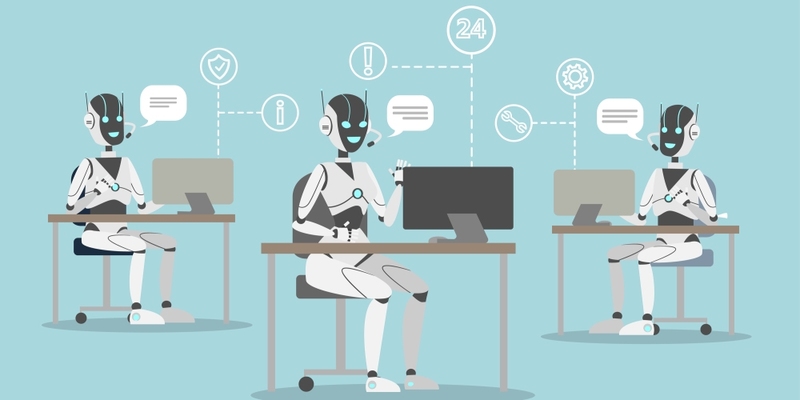 Artificial intelligence can also improve call center operations. Instead of just recording and analyzing some calls, businesses can leverage AI-based solutions to capture and identify important words and phrases in all their interactions with customers. With AI call center quality assurance, businesses can instantly identify references to such important words as “cancel”, “drop”, “hate”, “mad”, and the like. When the system picks up on such words – which can indicate a caller is going to churn or an agent may need help from a call center manager – that system can trigger an alert to inform the manager of the situation. The manager can then offer the agent guidance or take over the call entirely. The call center interface can be programmed to popup a script to guide the agent through this difficult situation. Or other measures can be put in place. What AI brings to the table is the ability to immediately gather and analyze data, so people can act on it sooner rather than later. When a customer drops a service, circling back with them later can be too late. But with AI-power quality assurance, organizations can act now before it’s too late. Organizations that want to learn how their customer service and marketing teams can leverage AI- and ML-based solutions to sell more, be more productive, and deliver better customer experiences are invited to attend The Future of Work. TMC (News - Alert) is now accepting session and speaker suggestions for The Future of Work through July 31. To submit your ideas, please visit this link.